Alstare Bimota Junior’s Christian Iddon secured his debut pole position for both himself and Bimota following changeable weather conditions hit Holland this afternoon. Qualifying one was red flagged following a crash from substitute rider Anvil Hire Tag Racing’s Kevin Valk at Madijk, causing the flags to be waved with 12 minutes left on the clock. As the session resumed, Ryuichi Kiyonari secured the fastest time of the session ahead of Shane Byrne and Dan Linfoot as the grey skies threatened. Qualifying two saw rain flags be waved around sections of the track, causing the session to be interrupted. RAF Reserves Honda rider Peter Hickman led the way for the majority of the twenty minute session, and despite topping Q2 he crashed his bike at Ruskenhoek just seconds before Rapid Solicitors Kawasaki’s Byrne crashed at the same place. With his slower pace early on in the session, Byrne who leads the Showdown race coming into Assen missed out on the top 9 spots meaning he was unable to fight for pole position for race one, starting from the fourth row. With parts of the track now wet the final qualifying session was modified in order to allow riders to get used to the conditions, with the opening five minutes of the session going un-timed. 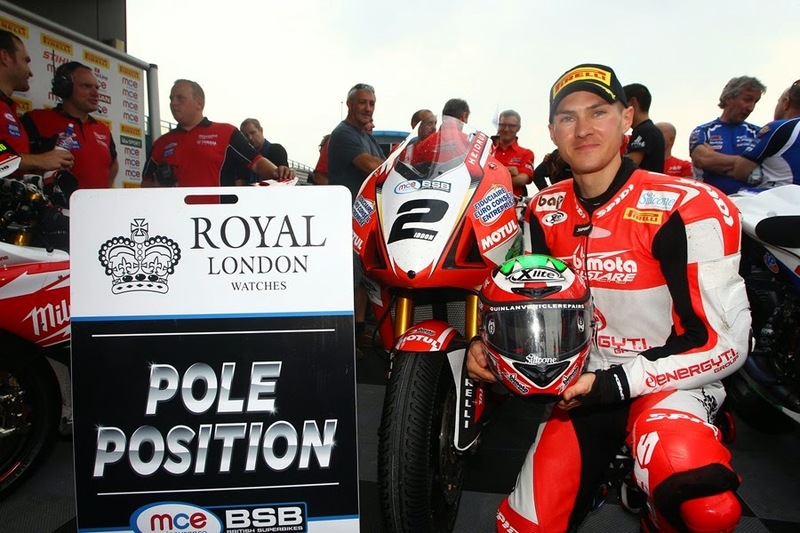 The Milwaukee Yamaha riders had a strong session and Tommy Bridewell was in strong contention for pole position, sitting at the top of the sheets. It then developed into a three way battle for pole as Iddon and Kiyonari we’re setting competitive times in the closing minutes. Despite his fast pace the Japanese rider crashed out of the session with 46 seconds remaining on the clock, however his time of 1.52.778 was enough to secure a second row start. Tyco Suzuki’s John Hopkins had another successful qualifying session, shooting onto the front row 0.191s behind Iddon, as Bridewell rounds out the front row. Follow the link for a full list of times.